With your prepurchased admission voucher in hand, make your way to Ripley's Aquarium, located at 1110 Celebrity Circle in Myrtle Beach. 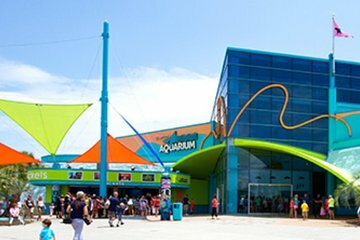 The aquarium, one of South Carolina's most popular attractions, is open every day of the year from 9am-8pm Sunday through Thursday and 9am-9pm Friday and Saturday. This 87,000-square-foot (8,083-square-meter) attraction is home to thousands of marine animals, including one of the largest collections of giant sharks on the east coast. Step onto the gliding path that will take you 330 feet (100 meters) through the Shark Tunnel, where you can observe the sea's greatest predators all around you. Visit Planet Jellies to see thousands of colorful, graceful jellyfish, set against color-changing, back-lit displays. Learn about the natural habitats of a multitude of different species, including eels, tropical fish, poisonous predators, and stingrays. Your admission ticket allows you to explore at your own pace anytime during the aquarium's opening hours. Nice place to visit with children. The mermaid show was the highlight of the visit. My granddaughter kept saying is a human mermaid so cute. Lots of sharks and stingrays. 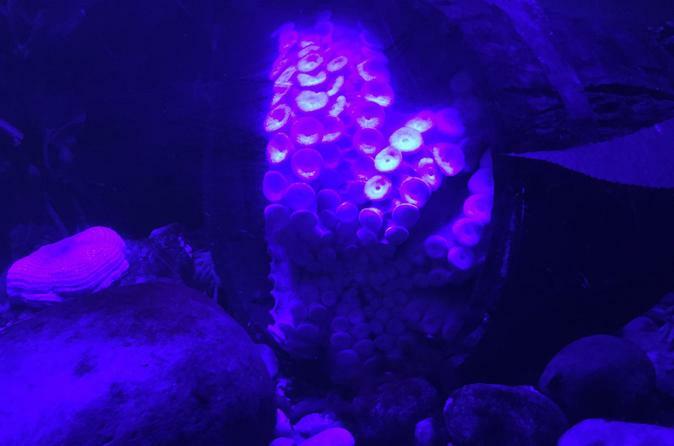 Good aquarium. Was there during the holiday season and the decorated trees were a fun touch. My girlfriend who is from Tucson, AZ and I had a wonderful time at the aquarium! The underwater tunnel is worth the entire admission by itself. A lot of different species of sea life to look at, and just a very nicely laid out aquarium. My girlfriend had a blast. Really enjoyed ourselves. This was our second trip to the aquarium in several years and was far the best. The entire facility was decorated with Christmas Trees from each state and were beautiful. We enjoyed the moving walkway looking at the huge sharks and other fish. This was a little vacation trip before the busy Christmas holiday events start.